Courtyard by Marriott Bali Seminyak Resort is luxury Bali accommodation perfectly located in the heart of Seminyak just over 10 km from the airport. Featuring a swimming pool, pool bar, restaurants and kids club Courtyard by Marriott Bali Seminyak Resort is ideal for both couples and families. 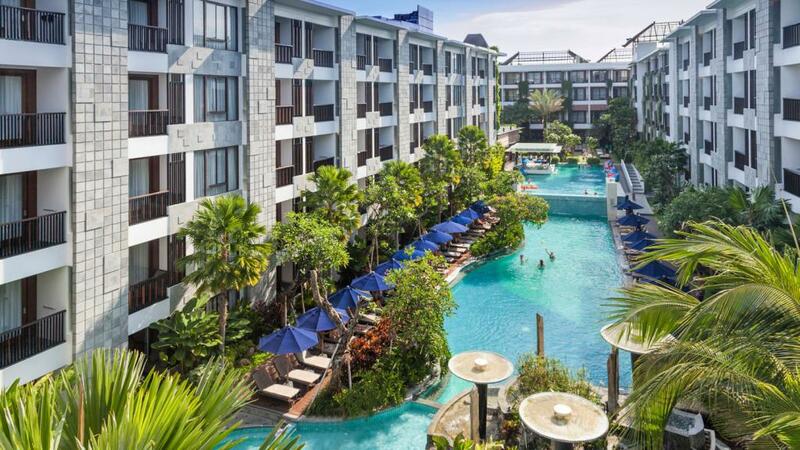 For a lovely Bali escape look no further than the Courtyard by Marriott Bali Seminyak Resort. This bright, contemporary Bali accommodation is ideally located in the heart of the famous Seminyak region close to fantastic shopping and dining such as Ku de Ta, Chez Gado Gado & Potato Head restaurants!